The painting above was a private commission, or more accurately a painting for my mum’s Christmas! Finished last year. 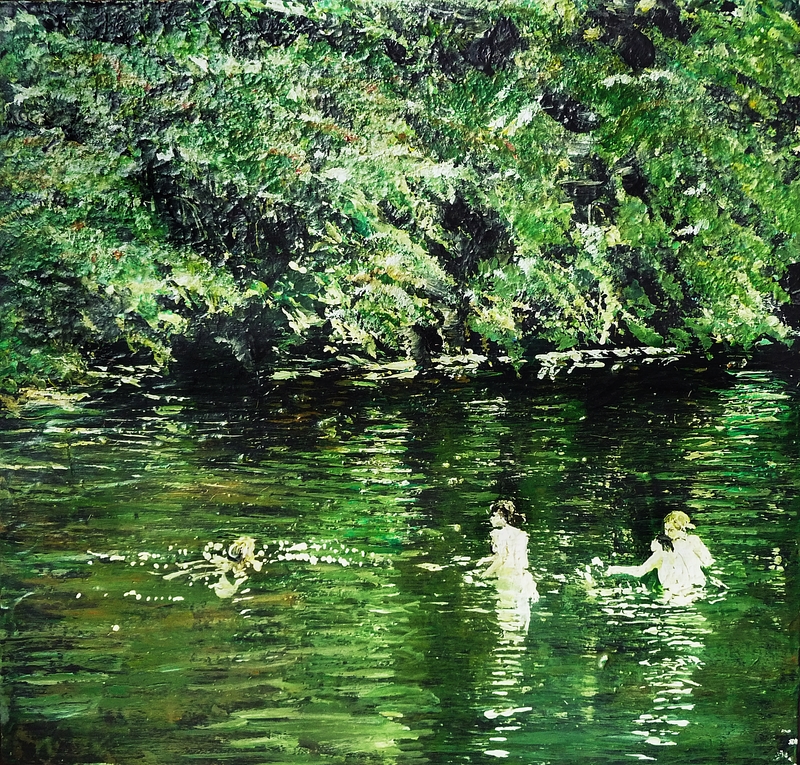 It shows my niece Emma and friends swimming in the Tweed River several years ago – it was an idylic summer day in 2009 and they’d just finished all their exams. I suppose it was the start of their adult lives – a sense of freedom and ‘what’s next?’. Emma and her partner Joe are travelling for two years in the far east just now, lucky them! We miss them, but it’s great to see them enjoying adventures together. 2015 was a year of green paintings, the painting above representing a sort of zenith of green! 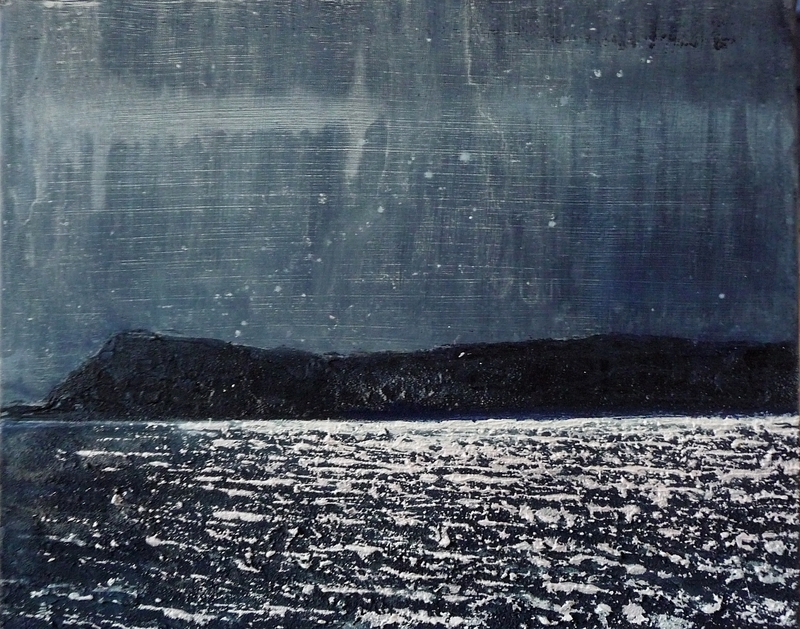 I have enjoyed a few days of selecting blue shades for my next series which will be semi-abstract sea and night sky. I usually prefer a darker or more monochrome palette and enjoyed painting these two earlier works from 2014, some of the elements of these might come into the new series.. 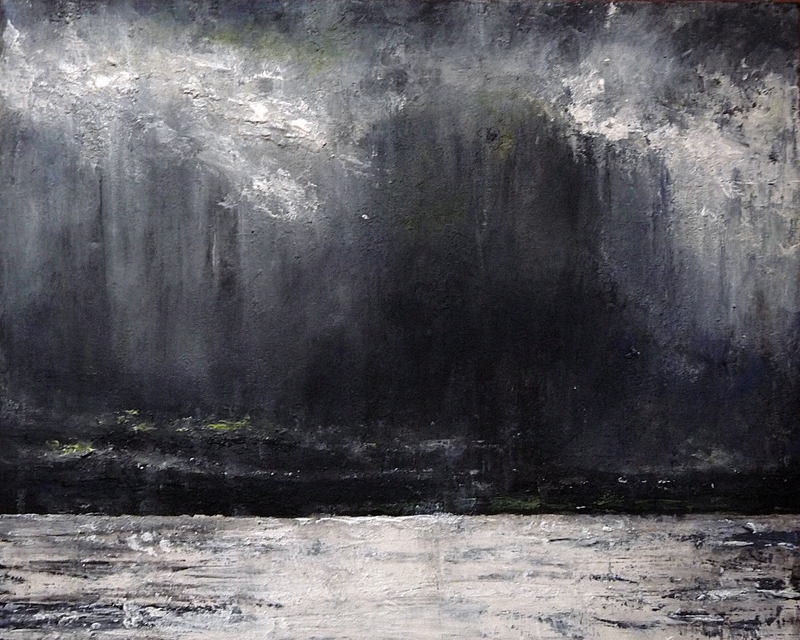 This entry was posted in Uncategorized and tagged green paintings, moonlight paintings, night sky, river paintings, storm paintings on January 10, 2016 by rosestrang.